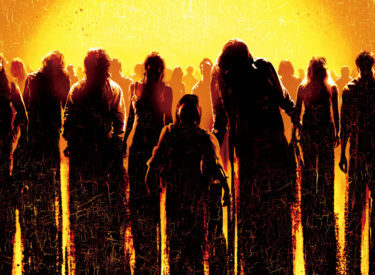 During October, the traditional month for ghosties and ghoulies, the Kansas Division of Emergency Management is placing a special emphasis on reminding the public to be prepared for such things, including zombies. To that end, Gov. Sam Brownback signed a proclamation today, Thursday, Oct. 19, designating October as Zombie Preparedness Month. Tucking said preparedness includes making an emergency go-kit for your home and car that has enough food, water, and other essentials to allow you to survive on your own for a minimum of three days. She also advised people to make a home emergency plan and to practice it. She also reminded people not to forget their pets when preparing.